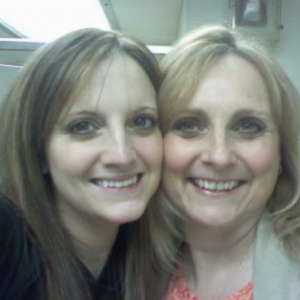 We are truly honored that the Fleming family has chosen to honor Janessa’s memory through our fund. 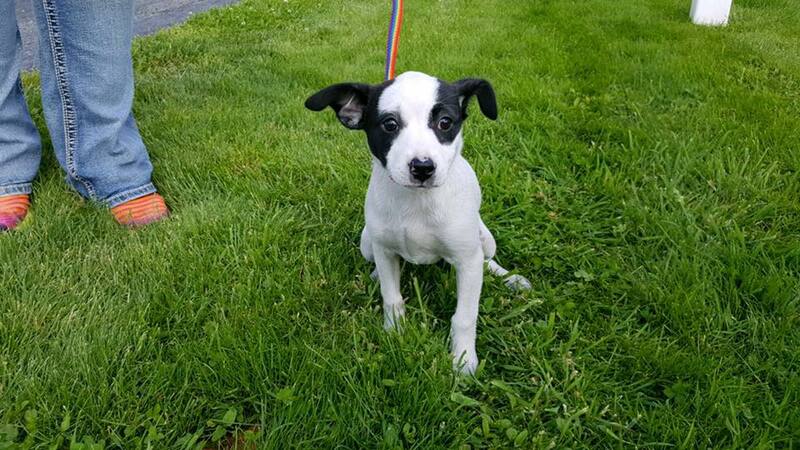 It is our hope that there is joy in knowing JJ’s vibrant spirit, boundless energy and love lives on in the lifesaving care animals will receive through this grant. It is a blessing to have known Janessa during her lifetime and witness firsthand her vibrant gifts of love, inclusion and compassion to everyone she met. Although her years on earth were short, the moments that she touched the lives of those around her were monumental. We again thank Paula and the entire Fleming Family and extend our deepest gratitude for your support and friendship. Wishing you all every blessing this Holiday Season and throughout the Coming Year. 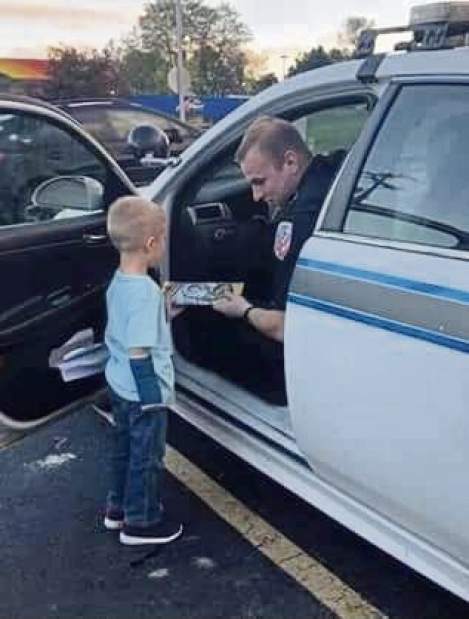 Officer Brian Shaw, we thank you for your service to our community. Your sacrifice will never be forgotten. 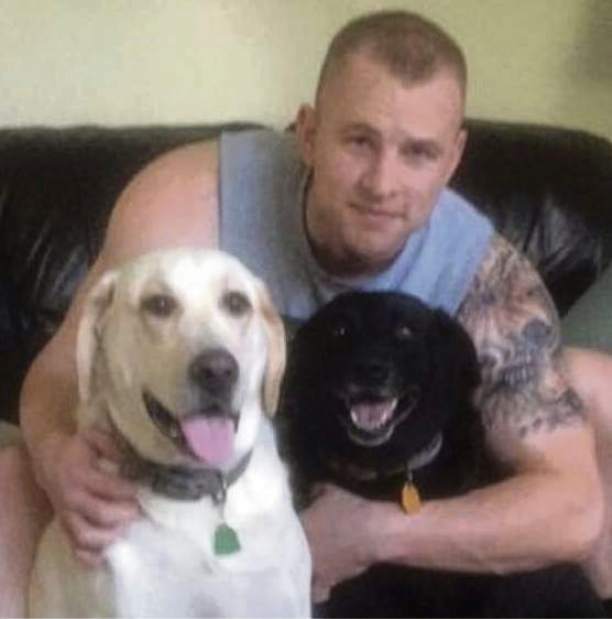 Our thoughts and prayers go out to your family, your fellow brothers at the New Kensington Police Department, FOP Lodge #62 and 39 and all members of the Law Enforcement Community at this time. We have heartbreaking news to share today. Our special little puppy “Thirty” had a serious setback last week. For unknown reasons, he started to have seizures. The veterinarians at AFA kept a watchful eye on him and he was placed on anti seizure medication. Despite all attempts to keep his seizures under control, last Friday June 23rd, on the sixth anniversary of Lauren’s passing, Thirty had a massive grand mal seizure that would not stop. The excruciating but merciful decision was made to not let him suffer any longer. Shelter manager Lu held him, told him his work was done and it was time for Lauren to get her first puppy. We would like to think “Thirty” is now in her loving arms. This is one of the most heartbreaking outcomes we have had to share. With 31 animals having received the Lauren’s Wing medical care fund since 2013, only one other animal didn’t fully recover. We understand that the animals placed under our “wing” are in serious medical condition and are already at high risk, but we strongly believe it is worth the chance of being heartbroken to save their lives. It was a blessing to be able to give Thirty his second chance and a comfort to know that he was loved and cared for by our compassionate friends at Action for Animals. We thank them for their efforts and never ending supply of love they shared with Thirty this last month. It is an honor to partner with such a fine staff and shelter. There is a blessing to this very sad story. Thirty’s two siblings, Lauren and Chance, have each found a forever home and are happy, healthy and well adjusted with new loving families. Lauren’s Wing and her family wish to thank everyone who supports our foundation to help animals in need. Your thoughtful words and compassion have lifted our hearts in the darkest of times. We are forever grateful. Here I am resting quite comfortably after my morning surgery. My broken leg is now on the mend! Shelter Manager Lu asked Lauren’s Mom to help think of a name for me. Her response was ” I can’t think of anything at the moment, but this animal just happens to be the 30th recipient of the Lauren’s Wing Fund. This number 30 is so significant to me, for it represents an animal saved for each year that we were blessed to share our lives with Lauren here in this world.” Without hesitation Lu responded, “Then we will call him THIRTY”. If all goes according to plan, I will be arriving at the AFA shelter sometime tomorrow. Keep your fingers crossed because I may have another surprise to share… so please check back! 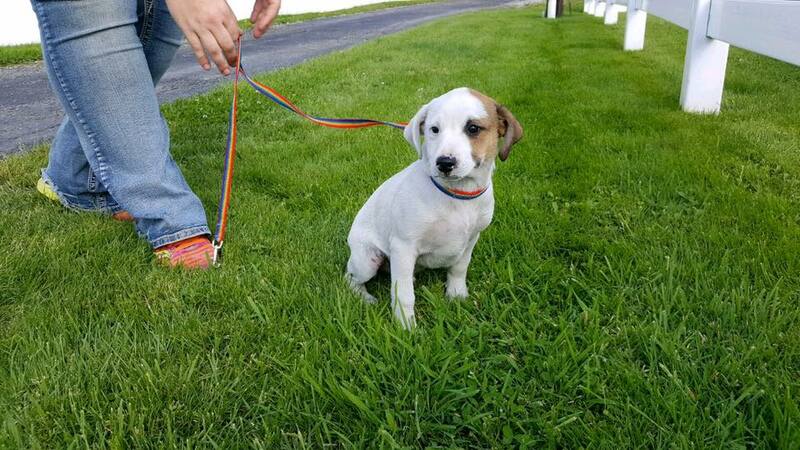 Coming soon…….. a photo of our newest recipient! The Action for Animals Shelter Manager Lu received a call from a West VA shelter asking for help. 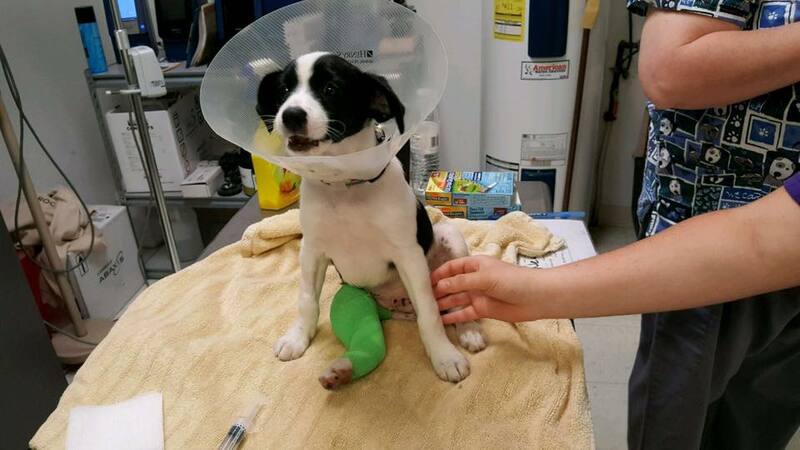 A 17 week old Jack Russell mix was at their shelter with a broken leg. Not having the funds for proper care the puppy’s future looked grim. 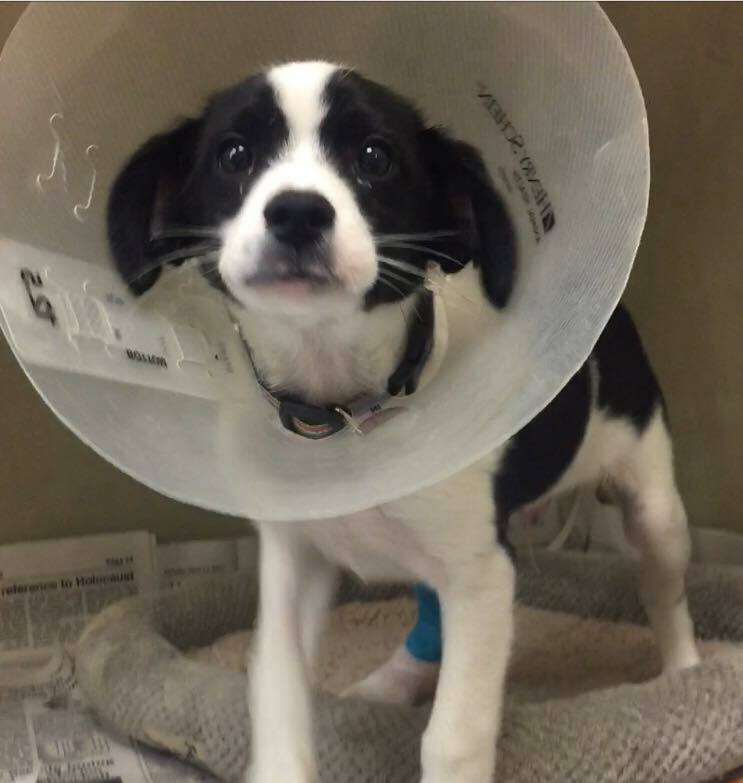 We are happy to report the puppy’s life will be saved. 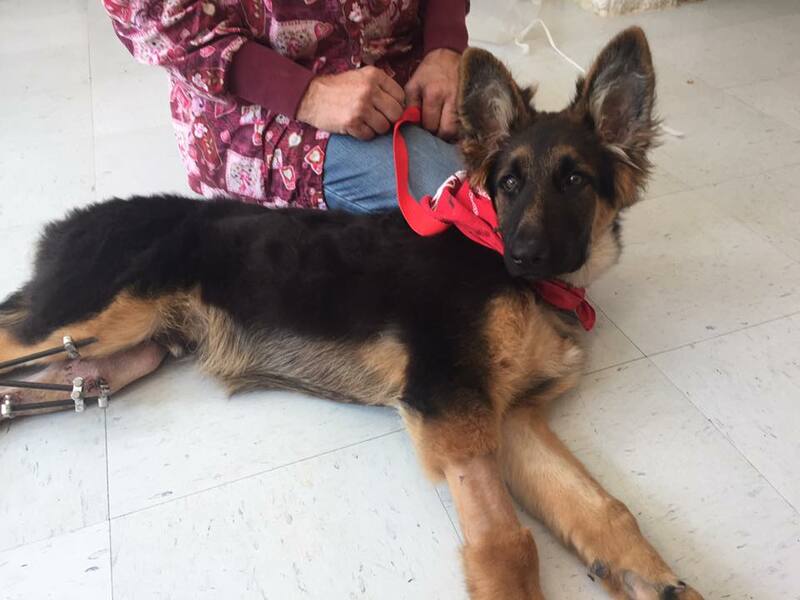 Lauren’s Wing will be funding his emergency surgery. 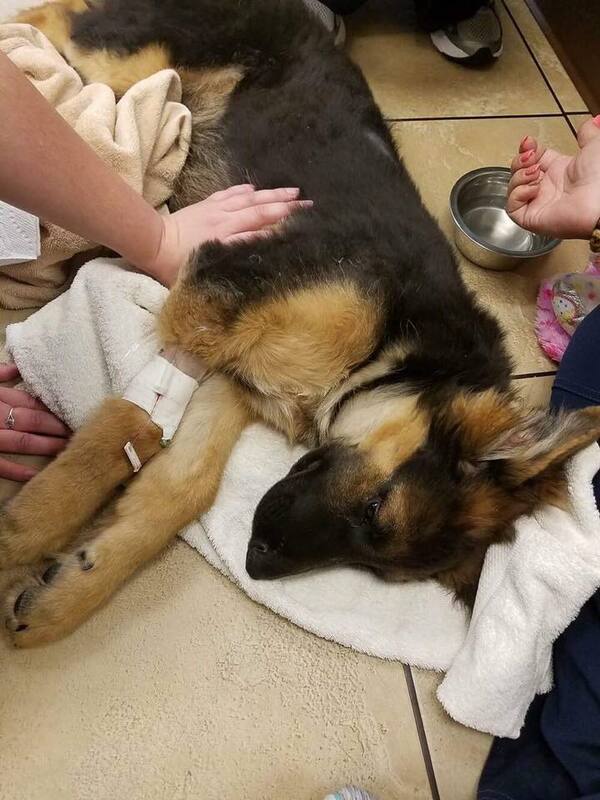 We just received news that the Lauren’s Wing Fund is needed to help this 17 week old German Shepherd who was hit by a truck. He suffered a broken tibia and pelvis. The shepherd will be directly transported to Ohio State University for medical care. Lauren’s Wing is most grateful to everyone who supports our medical care fund so when emergencies occur, we are ready and prepared to help. We will be posting updates as we receive them so please check back. Hi everyone! 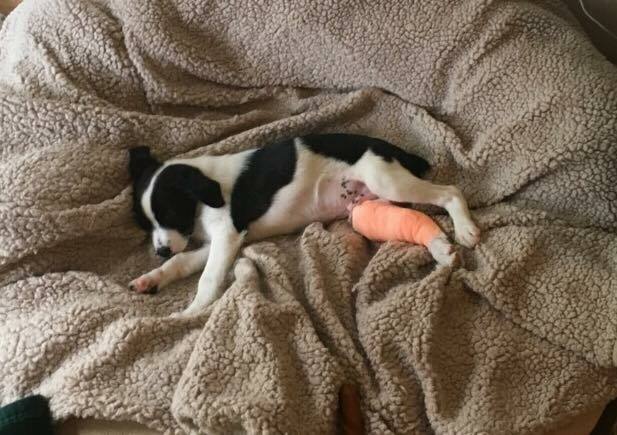 My name is Atlas, I am the 17 week old pup that was hit by the truck. The specialist here at Ohio State University delivered very good news. My pelvis only had a slight fracture so hopefully will mend with proper rest and care. My tibia bone was another story and surgery was necessary to repair the break. Happy to report I came out of surgery at OSU late this afternoon; I’m still in recovery. I will remain here for a few days before returning to AFA next week. I am sending along some pictures of my transfer. Thanks AFA, Lu, Pam and staff for the special care in making sure I was safe and comfortable. ❤️I am most grateful to Lauren’s Wing contributors. Your donations made my surgery possible. Glad to report that my surgery went well. The x-ray shows just how bad my leg was but now the prognosis is great! As you can see I was in great hands and loved all the special staff at Ohio State University. At this moment, I am being safely transported back to Action for Animals with shelter manager Lu! I would like to thank everyone who helped with my care and transport last week! Let’s not forget all those who support the Lauren’s Wing Fund to whom made this surgery possible. We met Atlas today in person and were greeted with non-stop kisses! Atlas is quite the verbal boy as he spent the entire visit telling us how thankful he is to have been given a second chance. There is more wonderful news to share. Atlas has already found a forever home. 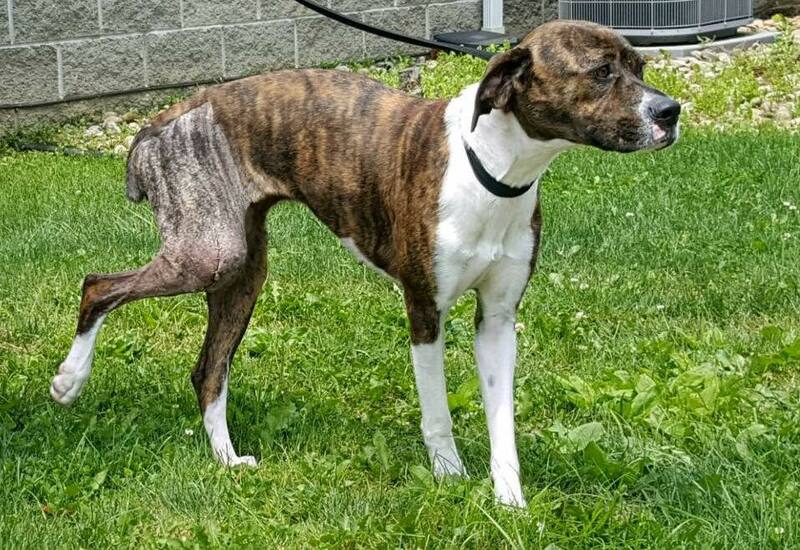 Although Atlas can’t be officially adopted until he is neutered and has his metal rods removed, he will be fostered by someone willing to provide special care and rehab. Thank you Kate and John for opening your heart and home. So much has happened to Atlas in one week. 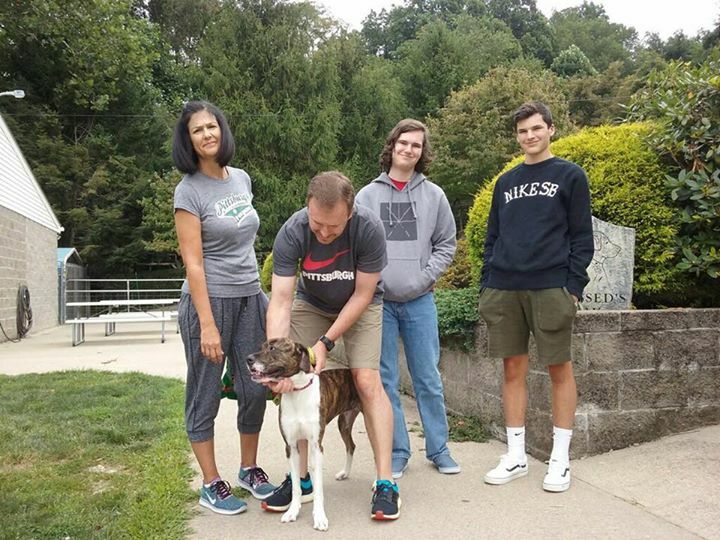 From his traumatic beginning in West VA where his owner surrendered him with serious injuries, Atlas traveled through three states, received orthopedic surgery, a weekend in recovery, a trip back to AFA, and finally the hope of a forever home. Through it all, this amazing dog hasn’t lost his love or trust in people. Lauren’s Wing is proud to be partnered with Action for Animals Humane Society. 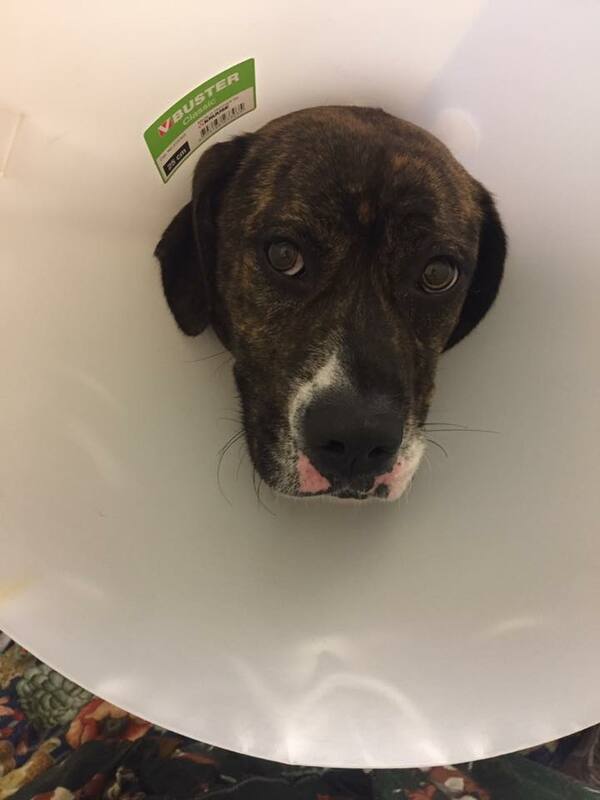 We are grateful we were prepared to fund Atlas’s surgery. To all of you who support the Lauren’s Wing Fund through donations, raffle ticket purchases, sharing our stories on Facebook or providing encouraging words, we thank you from the bottom of our hearts. Thank you to everyone who attended the AFA Cash Bash yesterday evening! Your generous support helped raise over $650 for the Lauren’s Wing Fund. 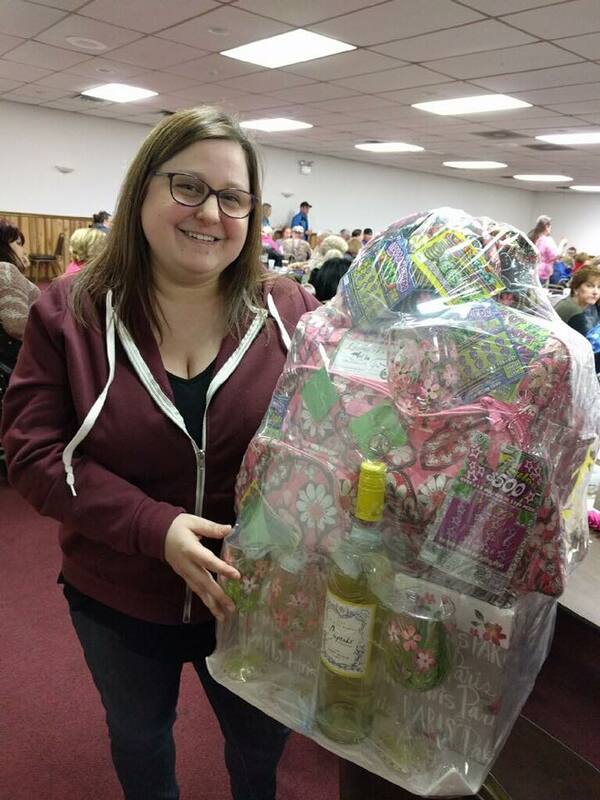 Congratulations Holly – winner of the Spring Travel Basket.